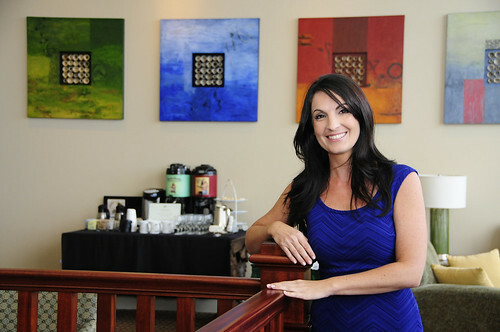 Maui-resident Mariah N. Brown, owner of the Da Kitchen restaurants, was named Pacific Business News‘ Businesswoman of the Year in the for-profit category. The honor was presented last month at PBN’s 16th annual Women Who Mean Business awards recognition event at The Royal Hawaiian hotel in Waikiki. In addition to co-founding Da Kitchen restaurants, Brown is a sales agent with Kokua Realty, where she is a multi-million dollar producer serving clients on Maui and Oahu, according to the realtor company. Forty-five businesswomen were recognized at the PBN event, including 21 businesswomen in the for-profit category, seven in the nonprofit category and 17 Women to Watch, a category making its second appearance in the Women Who Mean Business program. Aloha Air Cargo, which is owned by the three sisters, took the No. 1 spot on the list of the top 25 women-owned businesses in Hawaii. And Patti Bates, executive vice president and chief operating officer of Child and Family Service, was named Businesswoman of the Year in the nonprofit category at the annual event, which was attended by 600 business women and men.